School Counselling is so important in every school. It is an essential service that is often not paid enough attention to sadly. What I absolutely know is that school counsellors save lives every day in the world. Some might not think that to be true, but I know that when school counsellors are working with students who are at risk they make a difference. What they do in their offices is preventative work and may go unnoticed because school counsellors can’t tell you what happened because of confidentiality.They might have just saved the life of a child who otherwise would not be around to tell their story. Social media is also assisting students and school counsellors in a positive way. 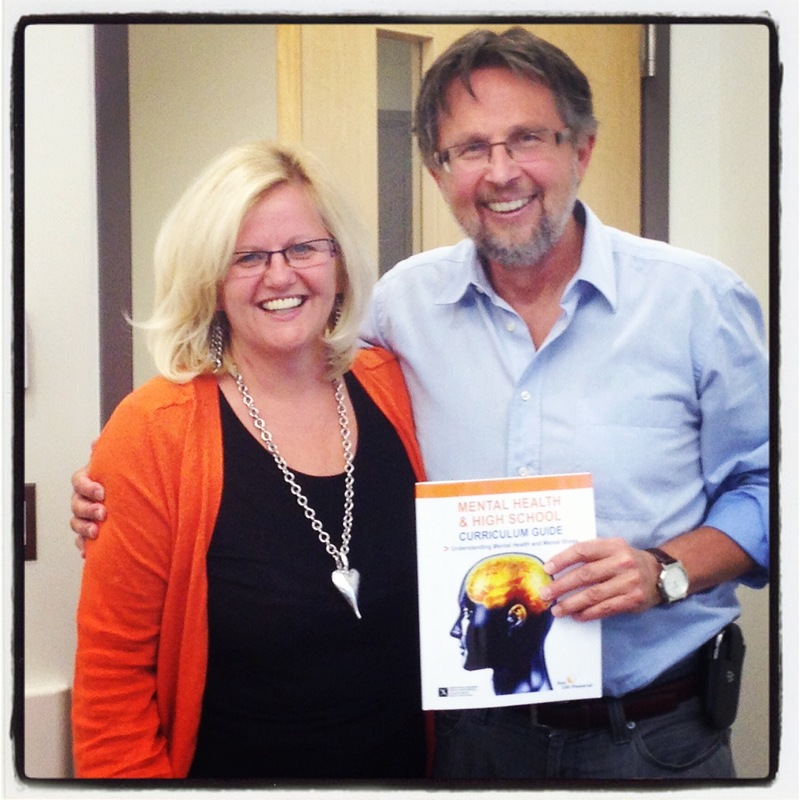 The work of Dr. Erin Mason @ecmmason, who created SCOPE is helping school counsellors every day in every way . Dr. Erin Mason from SCOPE is fantastic. 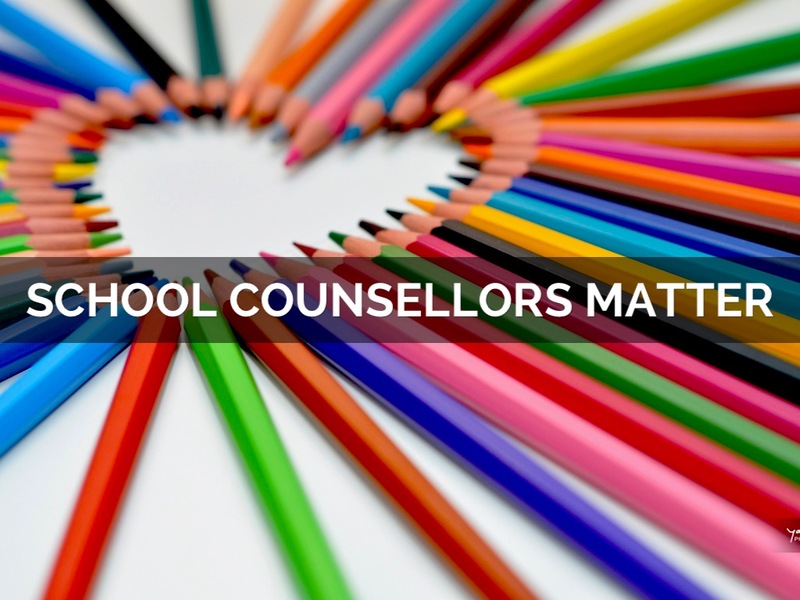 School Counsellors in Canada and the especially the US are on board with new developments in school counselling and are connecting to even make things better for students everywhere. Danielle Schultz @sch_counselor ,the founder of School Counselor Blog is also a leader in the field. You can often find her leading #scchat or sharing great information on her blog. Speaking of #scchat, it always amazes me that when educational chats are listed usually school counsellor chats are not posted. I know that will change as school counsellors become even more active in many spaces on social media. Below I am going to list some of the great leaders in school counselling and if I miss anyone I appologize as I KNOW you are doing amazing work with students. 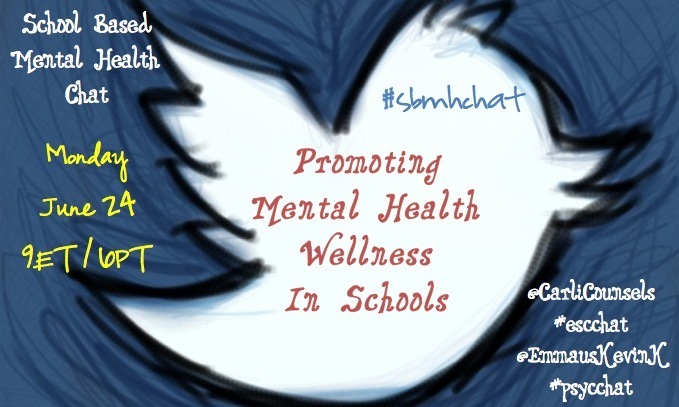 This list would not be complete without the work of a fantastic school counsellor advocate Russell Sabella @rsabella who is a Professor at Florida Gulf Coast University , or Carli Segal @carlicounsels and Dr. Kevin Kelly @EmmausKevinK who are leading #sbmhchat School Based Mental Health Chat another excellent chat related to school counselling. If you are a school counsellor from another part of the world please connect with us on twitter as we have so much to share and we can help each other grow professionally. It is an amazing opportunity for us to learn together. Please put that you are a school counsellor in your descriptor and if you feel comfortable please put where you are from. For more information about #SCCHAT (School Counselor Twitter Chats, montly school counsellor chats on Twitter, visit http://bit.ly/scchat-info. 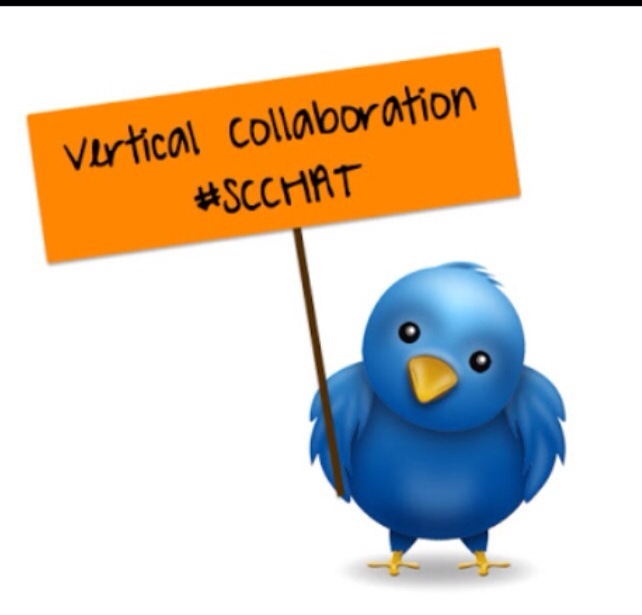 #SCCHAT Tweet Up! I would so love to see more Canadian School Counsellors #cscchat to be active on twitter and I will do my best to encourage other educators to encourage their school counsellors to join. We are entering into a new way of connecting with each other that will only benefit our students and the educational systems even more. http://www.haikudeck.com/p/wlK5Q1ceFG/why-school-counselling . Please feel free to edit and share. It is more than a week ago that schools were cancelled because of flooding in Calgary. 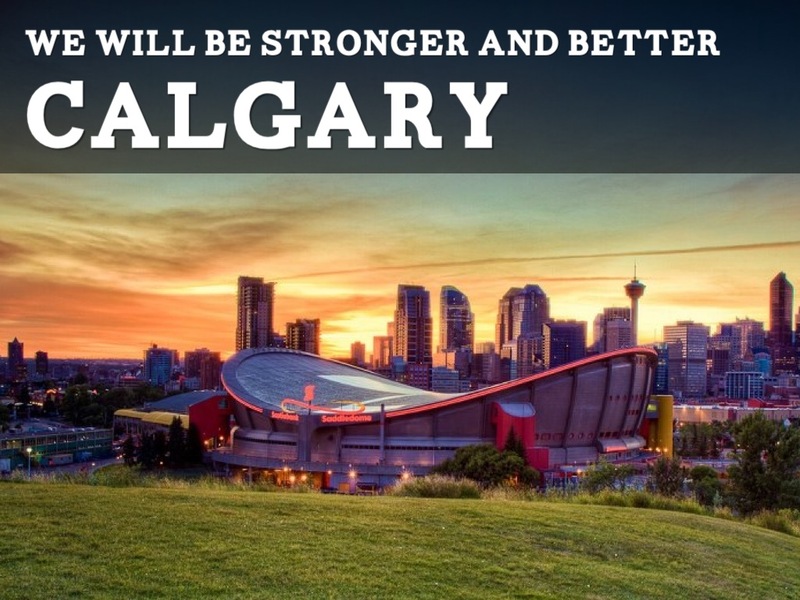 Calgary would be in a state of emergency for many more days to come. It is one of those days when you will never forget where you were and what you were doing. I was staying at my friend’s house and then off to our Bishop Carroll graduation ceremonies with my grade 12 students .We were celebrating their accomplishments and yet mindful of the devastation all around us, but not completely aware of just how Albertans would be impacted. I knew that Calgarians would make a difference, but little did I know how amazing the role modelling would be for our students. Our students would have definitely risen to the challenge fundraising amongst other things, but it was the end of the school year. That will come in September, as I know our city will still need help then. 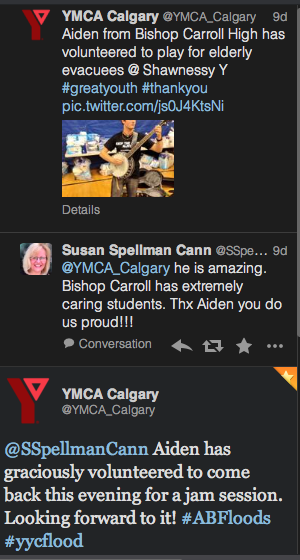 Within the first day I received a tweet from the YMCA that one of our students was already helping … no surprise. During the next week I would begin to see how much the city was impacted. I felt powerless in the beginning not knowing how I could help. I recognized that I could give money to the Red Cross , that was easy. I could register with #yychelps, but not sure if I could do the heavy work. Then came an email from our chief superintendant, Gary Strother, asking for volunteers to help with the cleanup efforts. I don’t usually look at my e-mail after school year ends, but this year I am more connected to my computer than ever before ,so I took it as a sign that I needed to act. For two days I was up at 4 a.m. and to work by 5:15 because of the coordinating efforts of one of the organizers Ralph Strother along with some amazing people from Whissell Construction . Being in the middle of a neighbourhood at East Elbow Park made everything real. I just kept imagining if this was my home and my family, how I would feel and how appreciative of the help I would be. I know the homeowners did, by the signs and the overwhelming thank you’s and gratitude that was displayed. 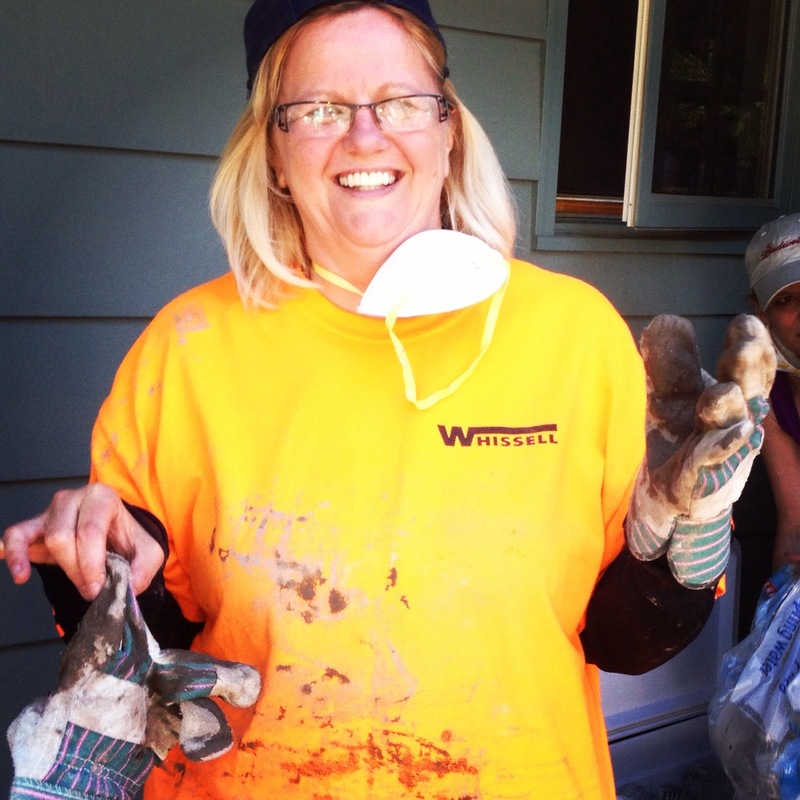 Whissell construction donated dump trucks, front-end loaders, skidsters, trucks, barricades tools and amazing people who worked tirelessly to coordinate our efforts. It was amazing to see all the work being done around me. I am grateful for the small part that I would play to help out. I have to admit it was hard work. It was back breaking work that some people do everyday (obviously something I am not cut out for on a daily basis) kudos to them, but for now they were adding to their week by volunteering. It made me very happy to be a part of it. There are so many ways people can contribute . Many people cannot contribute physically, but it is just as valuable to contribute in any way you can … JUST CONTRIBUTE. We need to be grateful for what we have and what we can do, not to feel guilty for what we can’t do. All that we do matters and for today I am so grateful to live in a city of helpers. I do not have to look for them. They are everywhere. Thanks to all my fellow @CCSD_edu colleagues especially Andrew who helped out and a special thanks to Gary and Ralph for making this happen. This week in #openspokes we were asked to tackle the tough topics and I decided to tackle the topic of suicide which is NOT easy. School Counsellors often have to assist students with the grief process. Over the years I have seen students who have lost parents, siblings, friends, classmates and family members some due to a completed suicide which is the most tragic of all. Below listen to a young man’s story that begins to tell the story of the impact on family and friends. I am not sure that there are any words to descibe the impact that this tragedy truly has,but his words I am hopeful will help other students. As school counsellors our role is to be helpful in anyway that we can by infusing HOPE in as many ways as possible. When a school experiences the loss of a student everyone feels the loss as expressed here by a note left to a student who died. It is never easy seeing a student in deep pain especially if the loss was tragic or sudden. Often times school counsellors need to ensure that they have dealt with their own issues surrounding grief so that they can best help others. School Counsellors need to be aware of vicarious trauma or counsellor burnout when assisting students who have experienced traumatic events. I know school counsellors save lives everyday and I want to thank you for the important work you do that no one else sees. I know because I have been a school counsellor for a long time. So keep doing what you are doing even though it can be extremely difficult at times. There are students who you will make a difference for… of that I am sure! Take care of yourself so that you can continue to help others. 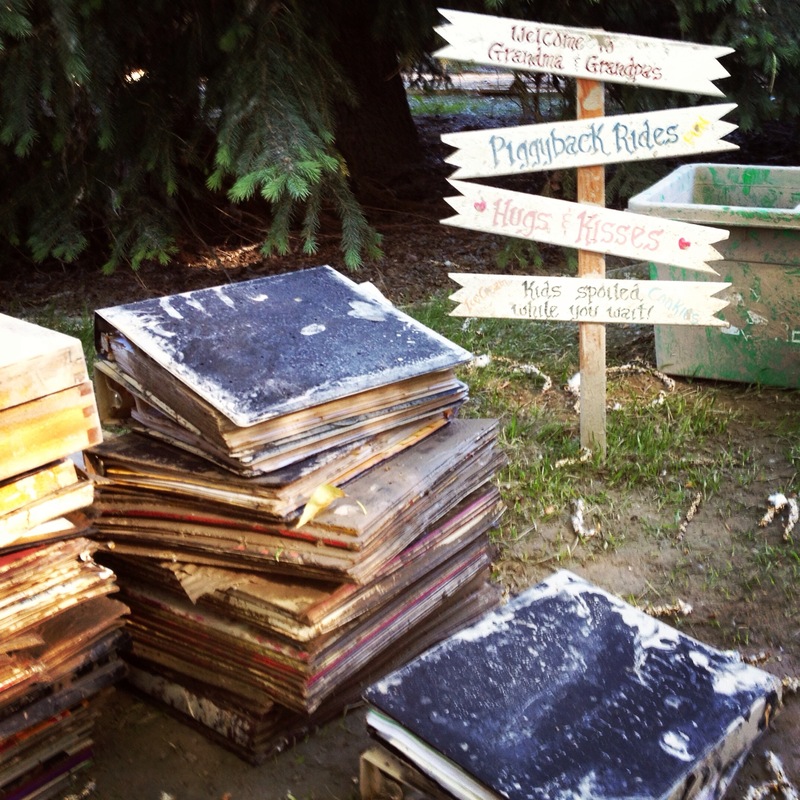 This blog is the beginning of me keeping my filing cabinet open. I have many resources I have wanted to share with school counsellors,but did not realize I could do it. This blog is how and the time is now thanks to the fantastic open sharing in ETMOOC and especially because of Alec Couros. The process stated with me being referred to Alec’s work by Vianne Timmons, so I went to his workshop and got going on twitter. So began the best PD ever. I have been following the fantastic work of Dr. Erin Mason and other school counsellors in the United States and beyond, but I was still not ready to jump into a blog. Fears got in the way. I have been fortunate to have many, many great dialogues with Erin Luong which also helped with my decision making. ETMOOC was the final push and as a result I believe I will share, share, share and in an OPEN EDUCATOR way. I have so much more to learn and as I do this I am very GRATEFUL for all of ETMOOC participants who have inspired me to share openly. My first THEME HOPE.. I hope school counsellors can use some of the ideas and materials. Take what you like REMIX ( a term I now really understand because of ETMOOC ) and leave the rest. HOPE is essential when it comes to school counselling. School Counsellors can take a leadership role when it comes to instilling hope in students. Listen to Derek’s story of not giving up which demonstrates the power of HOPE. We know that if students are resilient they are better able to self- regulate and that means they can cope more effectively. According to Barbara Frederickson a psychological researcher at the University of North Carolina, “a positive mood makes people more resilient physically”. Resiliency and hope definitely go hand in hand. We want students to never give up and if we can access resources to help us do this we will make a difference and possibly save a life. How can we spread hope throughout the school in a digital way? We can post videos like Derek’s story on our counselling website. We can tweet out to stories of hope on twitter. We can post stories of hope on our school Facebook site as well as our school website. Hope is an Open Heart a book by Lauren Thompson can be used with younger students to discuss losses and the overcoming of hardship. Performing Random Acts of Kindness can inspire hope as well. At http://www.helpothers.org/ you can find smile cards which you can download and hand out. Who I am Makes a Difference ribbons can be ordered at www.blueribbons.org. These ribbons are great to use in a Celebration of HOPE assembly or as a beginning of the year activity. At http://www.values.com/ you can make your own bulletin boards or make them and post for all kids to see. As a school counsellor incorporating a suicide prevention theme with the theme of hope just makes sense. Running suicide prevention workshops for your students at the beginning of the school year is also very valueable. Look Listen and Link is a video which could be very helpful for Suicide Prevention for teens. You can find it on Youtube. Here is another message of hope. At the APP store students can access a digital blue ribbon that they can share with others sending positive messages to anyone they feel makes a difference. You can find a link to the blue ribbon in my livebinder. Finally you can access my livebinder on HOPE for more ideas. These are but a few ideas. Please share yours so we can help students everywhere. This blog post will be a work in progress and as I continue to learn. I will share more and more.